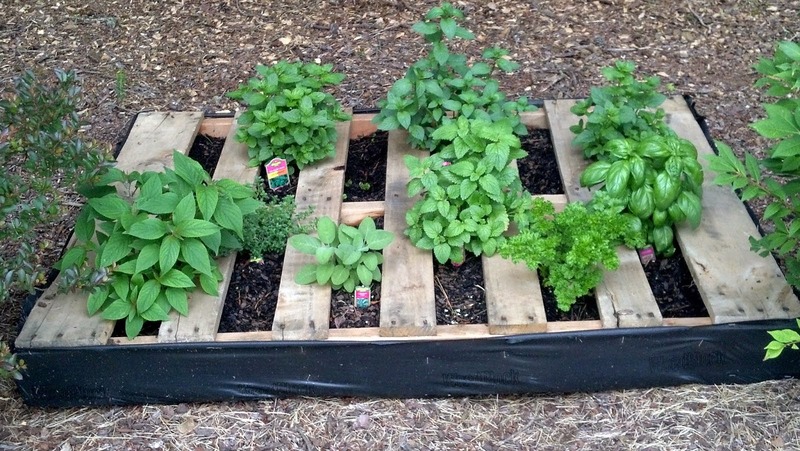 I am getting excited to start planning and mapping out my herb garden for this spring. I always plant the classics of course: Thyme, Mint, Basil, Dill, Chamomile, Sage, Catnip, Rosemary, Aloe, Bay Leaf, Parsley, Lemon Balm, Oregano, Lavender, Cilantro, Chives,……I think that is it. This year, I am planning on branching out a bit more. I am thinking about adding to this list: Savory, Stevia, Nasturtium, Marjoram, Fennel, and maybe a few others. We always attend the spring Herb Festival in our town, and I usually walk away with quite a few more than I had planned out. Here is a post about last year’s herb festival, if you are interested. Look around, I bet there is a local herb festival in your area as well! In addition to an herb garden being beautiful, and smelling heavenly, we use the herbs. 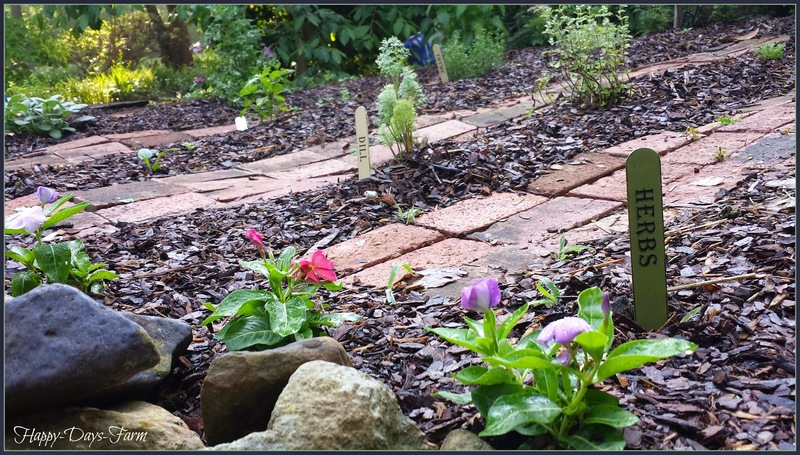 Last years herb garden did incredibly well thanks to my secret fertilizer…..Stay Tuned, I am going to post about that soon! Our animals also benefit from the herb garden, we give fresh herbs to our chickens every day, in addition to putting them in the nesting boxes. Also, the rabbits think the garden is definitely theirs, and the catnip definitely belongs to the cats. Just in case you haven’t met him, this is Sugar. He has his favorites too. He loves it when I give him the trimmings from the herb garden. His favorite by far is Basil. 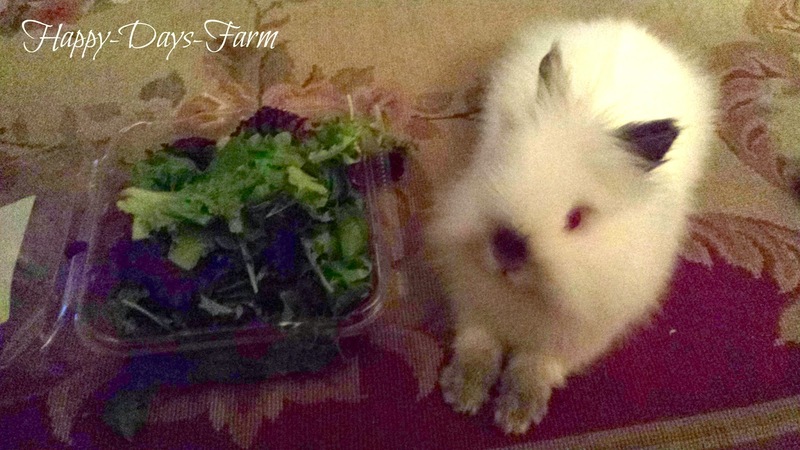 This year, he has requested a special lettuce section in the garden that is just for him! I think I can accommodate that request, don’t you? 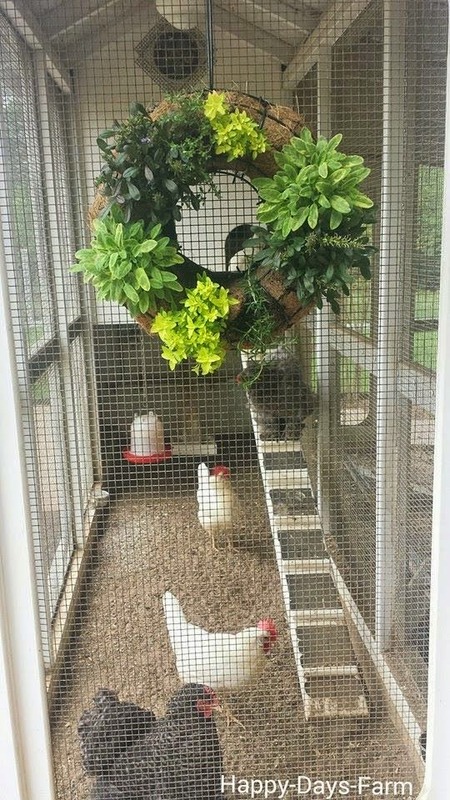 The herb wreath is a big hit at the chicken coop! 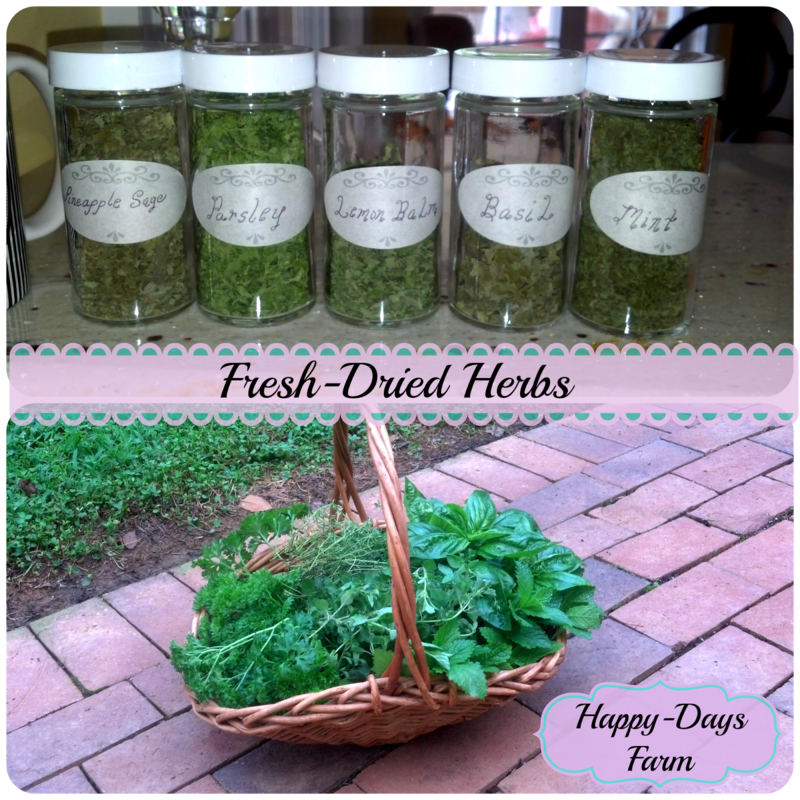 could put your favorite herbs to cook with! Click here to learn how to make one! and my stash is starting to look a little sad at this point.